One of the favorites classes from last year is coming back with an entirely new design and beautiful colors! 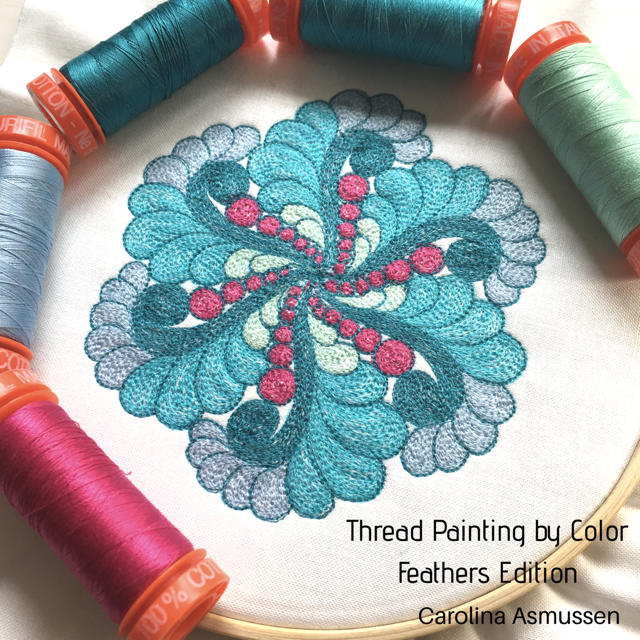 "Thread Painting by Color Vol 2" is focused this time on feathers and tear drop shapes. We will use thread painting techniques and free-motion quilting to create muscle memories to execute these amazing quilting designs with confidence. Class kit with the design and embroidery hoop included.